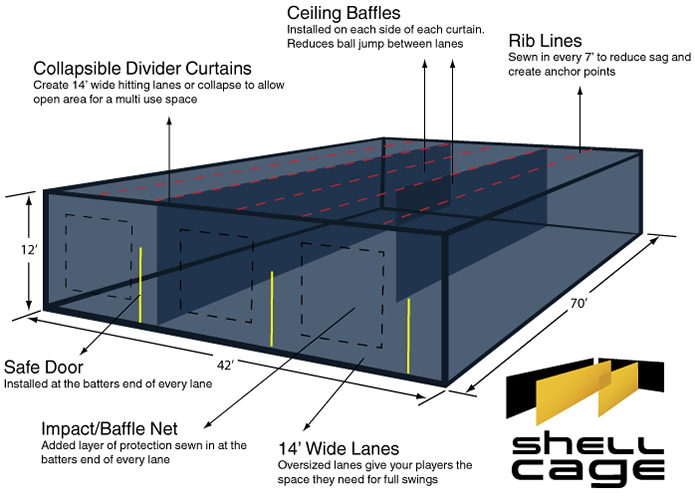 The ShellCage Indoor Batting Cage means more options for your practice facility. Sliding curtains divide your lanes and easily collapse, allowing quick transformation of your space. Available in 55' or 70' lengths, or build your own Custom Shellcage. Practice Sports can custom build & install a ShellCage with retractable dividers to fit your facility perfectly. Check out pictures of sliding batting cages we've installed around the country in our client gallery. 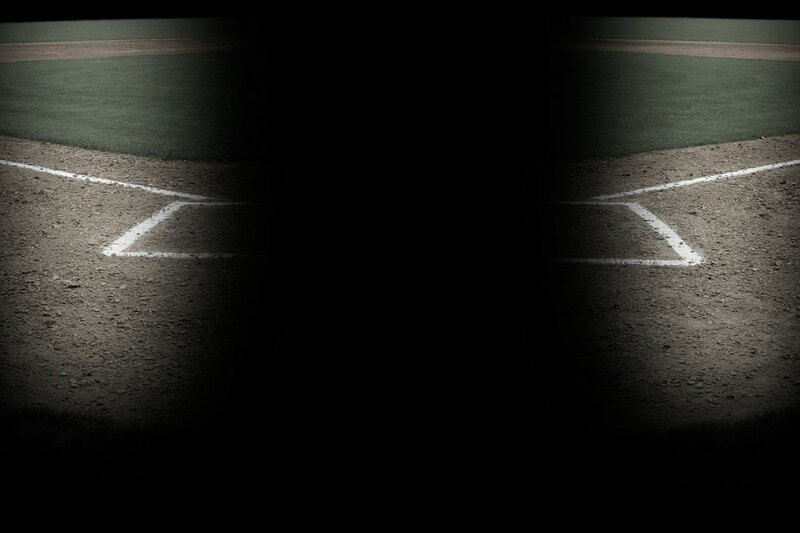 Contact Us today to discuss how we can build a ShellCage batting cage just for you. xShellCages are not only less expensive than individual cages, they also give a facility more options for opening up the space for other activities. xYou can have as many lanes as the space in your facility allows. If you need more than six lanes, please feel free to use our Custom Net Calculator. xTwo curtains dividing each lane is safer than one curtain, because the dual curtains provide a cushion of air to help absorb ball impact. xWe can custom build your ShellCage to any specifications. You can enter your dimensions in our Custom Net Calculator and receive an instant quote. xNo. Each lane is on it's own cable, so each lane is individually retractable, allowing you extra freedom to create an open space that fits your needs. xSure. We can custom build netting to fit any space. Just give us a call at 1-800-877-6787 and we'll get you started.